Flash in his first major offline tournament since his Brood War return earlier this year, alongside the VNSL champion, EffOrt. Making use of an open qualifier format, the tournament will put on display the strongest players of the day. Alongside the defaults of Fighting Spirit and Circuit Breaker, the ASL returns to its Starleague roots with two new custom-made maps, Taebaek Mountains and Overwatch. You've followed along with last week's group selection ceremony. Now, let's get ready for the Round of 16! With play every Sunday and Tuesday night, the Ro16 round robin starts in , casted in both Korean and English! Its been a pretty weak year so far for tournaments in general with very few of them taking place but in the few that have been there EffOrt has been pretty picky about his involvement in them, missing one due to being stuck in traffic and another by being invited to the Afreeca studio by Mike Morhaime, with that said, he did take second in the Terror NINUS Starleague only barely losing to ZerO (3-4). Outside of tournaments EffOrt has had a solid fish run and for the time was the only Zerg to have a winning record against Terran since Flash's return. As far as this group goes, EffOrt's only threat would be Shuttle but if one were to pay attention to is nearly 80% ZvP rate its pretty much guaranteed that EffOrt will make it out of this group without a scratch. free's 2016 hasn't been all that different from his 2015 in terms of performance having made into the Ro8 in the NSL. 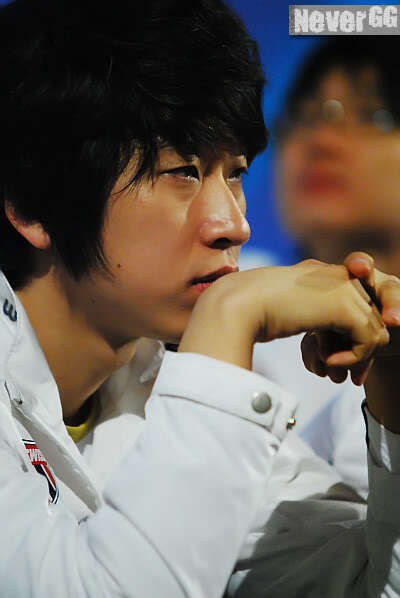 He has not done much else since except for a 3-4 record in Kim Carry's league only proving his current situation which is his weak ZvP making it highly unlikely for him to beat EffOrt especially with EffOrt's level of preparation for offline matches. Luckily his PvP has been strong and he boasts one of the best PvT records among all the Protoss this year, not to mention his amazing tear against Terran this month alone, cementing his odds against Shuttle and sSak. Shuttle suffers from a huge mental block in tournaments both online and offline, on stream he shows great games especially in PvZ with solid matches and a bit of unorthodox plays. 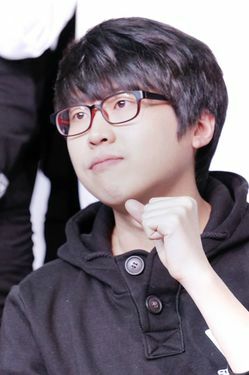 In tournaments, however, he shows weak play especially with regards to his corsair control the staple unit of the matchup his PvT has always been weak and while he did beat free in the Kim Carry league, it is doubtful he will pull off a win against free in this stage. Of all the people to suffer from the "Champion's Curse", sSak is the one that has been hit hardest by it, unlike hero who hangs on and is still a threat on a good day. sSak has pretty much faded to obscurity over the second half of 2015 to now with early exits in numerous tournaments in between, but this could be a fresh start for sSak... only time will tell how it goes for him. To start, let's go down the checklist to see how exciting this group is. The only thing (relatively) controversial with this group is that Bisu should be here because he was seeded for getting 2nd place last season. But alas, for his own reasons he decided not to participate. Other than that tiny tidbit, the result is painfully obvious; this group is a really boring group. At a glance, the only drop of entertainment value you can squeeze out of this is the unpredictability. But this is where being standard fails. These players are interesting in their own rather weird way which makes up for the lack of star power and rivalries. Sharp was the 3rd place finisher hence was given the seed after Bisu's controversial decision. He has a lot to prove in this season. He was a fodder player, mostly known for mingling among amateur ranks. So when this ex-pro turned amateur managed a convincing podium finish over ZerO, fans were quick to dismiss it as plain old luck because played almost exclusively TvT to get there. Not that this league having seven other Terrans will help his case but to fans of the unorthodox, he will be really fun to watch as Sharp plays with a very fluid style that stands out in contrast to the mostly static and deliberate play-styles associated with the matchup. PianO is like a living fossil. If I describe a player with a distinct style and mostly sticks with a certain stubbornness, you'll probably think of some old schooler. But PianO is a modern player posting exceptional results with SK Terran years into an era where Terran players rarely stray from late mech. His level of consistency shouldn't exist in today's metagame but you can watch him go to work over at Afreeca. In addition, the dynamic and all-over-the-map-action nature of the playstyle is candy for even non-Terran watchers. Larva's entry into the Ro16 was filled with controversy. In a tied Bo3 against PianO, the PC Bang owner accidentally shut off his PC. It was an almost won game but the referee issued a re-game where he lost to an quick 8 rax. Despite being understandably outraged by the result, he persevered. He traveled to Busan where he vanquished Terror in a tight (and well documented) final series that secured his entry. Currently, Larva sits in an enigma status. From a mediocre ex-pro player with a few sparks of brilliance and healthy dose of ugly fails, he has become more consistent through the months and can now be called a legitimate threat to established players. 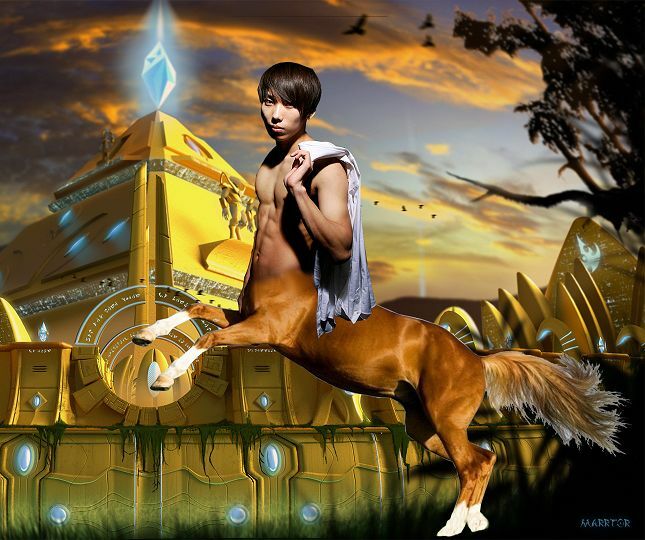 Speaking of enigmas, we have one of the originals in Jaehoon. 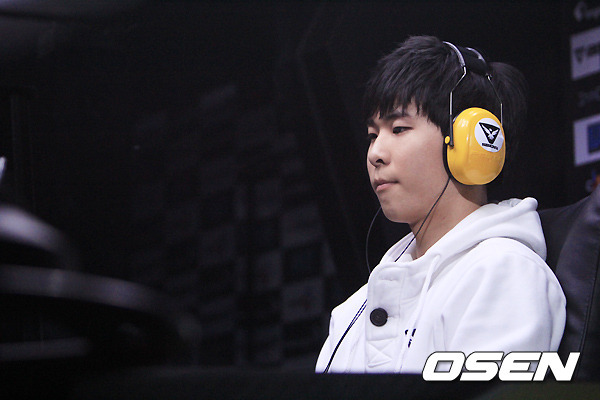 Jaehoon was the poster boy of failure in SC for a long time and even today not many know about the strides he has made in improving his gameplay. Today he boasts a solid game and his most intimidating matchup is PvT. Ironically, the same unit that made him infamous famous in the first place is now part of his deadly combination. Some viewers and players even get disgusted at the mere thought of it - carrier-arbiter PvT. When it comes to predicting the two players who will advance, your guess is as good as mine. Sharp figures to have a good outing with his outstanding TvT and TvZ. PianO might struggle a bit given his horrible TvP and Sharp is favored in their match. Larva can take games off of anyone here especially versus Jaehoon. And lastly, Jaehoon has two PvTs. All four of them have something they're really good at but at the same time they also need to confront their weaknesses. With that said, on pure intuition Larva and Jaehoon advance. Sea. 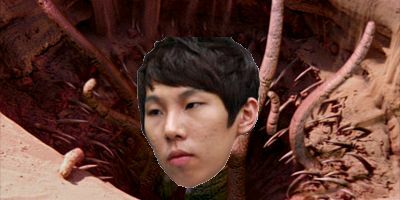 But EffOrt decided to troll everyone and swap Jaehoon and Flash, creating a monster group of death. Will ZerO’s vT hold strong against a myriad of excellent TvZ players? Or will he succumb to the human race? And which Terran will reign supreme over the others in a group that will surely put viewers to sleep, as we dive into the Group of Death. Last in the Myeongin. While ZerO is doing well in online ZvT matchups, going 23-5 from July 1st to July 10th, he didn’t play Flash during that period, and much of his wins came at the hands of weaker TvZ players like Sharp and Icarus. Offline, ZerO has been shakey, with a 14-19 record vT in the year of 2016, though early on he went 0-7 and has since stepped it up a bit. However, his games against Mind have gone 50-50 so I expect him to put up a fight against Mind in that match, albeit on the weird map of Taebaek Mountains. He’s been putting up good results over Sea, who has been slumping since mid-2015. His game against Flash on Overwatch will be another heated match, but I suspect the mineral only bases may swing the game in the Terran’s favor. Hot off his Sino-Korean Carnival win over Bisu, Flash has been putting up strong results in the online scene, placing top 3 in both the month of June, and so far through the month of July. While he won’t be making our top 10 in the power rankings just yet, Flash has been surging and I fully expect him to make a good showing. His TvT has continued to be his best matchup with a combined 33-12 (73.3%) in June and July, especially with a strong record against Sea (8-2). I expect him to roll over Sea on Taebaek Mountains, and Mind on Fighting Spirit, especially when he’s 8-0 against both back in the KeSPA days. Fixing my keyboard and mouse is going to be harder than this group. His TvZ, while amazing sitting at a combined 54-20 (73%) in June and July, leave a bit to be desired if Flash wants to get back to his God-mode days. He was 6-1 against ZerO in June, but against EffOrt, is 16-11. A winning record, yes, but with Flash, the expectations are high for him to do better. I still expect Flash to beat ZerO on Overwatch. The most consistent player to advance from groups originally had me suspect him to upset Flash. However, Mind’s TvT is at an abysmal 38.9% and has not shown signs to do better. With such piss poor performance and with 2 other strong TvTers in the group, I don’t expect Mind to make much of a noise. However, Mind does have one matchup still going for him, and that is his TvZ matchup at 74.23%. He’s beaten ZerO many times in group stages and in the Myeongin, so we’ll see if his consistent TvZ is enough to douse an on-fire ZerO, especially on a wonky map like Taebaek Mountains. Ultimately, Mind is a consistent player, but has somehow managed to dodge most TvT matchups on his way to the bracket format, but I suspect with a heavy Terran group, his run might end in the group stages unless he can upset ZerO on Taebaek Mountains, which I think he can do. A poor offline performer, Sea, has been slumping since mid-2015 and has not shown signs of coming back. He hasn’t played in any tournaments since March, and it seems like he’s too busy with camgirls than Starcraft these days. Still, Sea’s TvT (68%) is still good enough to take out a weak Mind, but his showings against Flash in online play has been terrible, not to mention Sea has never beaten Flash in offline play (0-8 in KeSPA era). Furthermore, while his TvZ is over 60%, his recent drought has seen him go 1-5 vs ZerO in offline play and his slump only makes matters worse. If this tiebreaker holds true, I predict ZerO to overtake both Mind and Sea with his superior ZvT and advance from the lower tier tiebreaker. Flash and ZerO to advance. Mong's ability to go whole hog on the rest of the group and hero's potential to pull another unlike his SSL11 run exactly at this time last year. Now I could just say Last will 3-0 this group without any problems and everyone just accept it, but I would not be satisfied by saying just that. Last's skill has reached the highest it has ever been in this year and his results speak for themselves. Especially if you look at the Kim Carry league with its format being a 8 man Bo3 round robin and his going 6-1 in it, only losing to ZerO, who by the way Last beat in the finals of the tournament. Last is #1 on the Fish ladder and has a winning record against everyone in this group especially BeSt. Even losing a single game in this group would be considered an upset on his part. A lot of hero's chances in this tournament comes from his preparation, but unlike EffOrt who elevates all aspects of his game hero's success, it usually comes at the cost of his ZvP. Normally one of the best ever, focusing on trying to beat Last and Mong in this group might end up with him failing miserably and not even be able to beat BeSt. On the other hand in his 4-3 run of the Kim Carry League, he did beat Mind and Sharp, both of whom have good TvZ, so he might edge out. Mong had a great start in the year beating Last in the 41SL finals but since has completely disappeared from competing and Last has become extremely strong. BeSt would chew him out because that's what BeSt was put on this earth to do and it would be a tossup against hero. Oh well, plenty of good stuffs anyway. Go Best! Very much looking forward to seeing Flash play. This will be awesome. Thanks to all the contributors, looking forward to the first day of matches. Great writeup. Soo looking forward to this. Flash fighting!!! According to Reach, he is the fastest learner he has ever seen. He start bw only like 2/3 years ago. Infact, his bw history knowledge is so limited, he didn't even know what the map Guillotine was. How old is that BeSt picture? the pic or the photoshop? pic is about a few years old the photoshop is relatively new. Is anyone else frickin pumped for this starleague?? 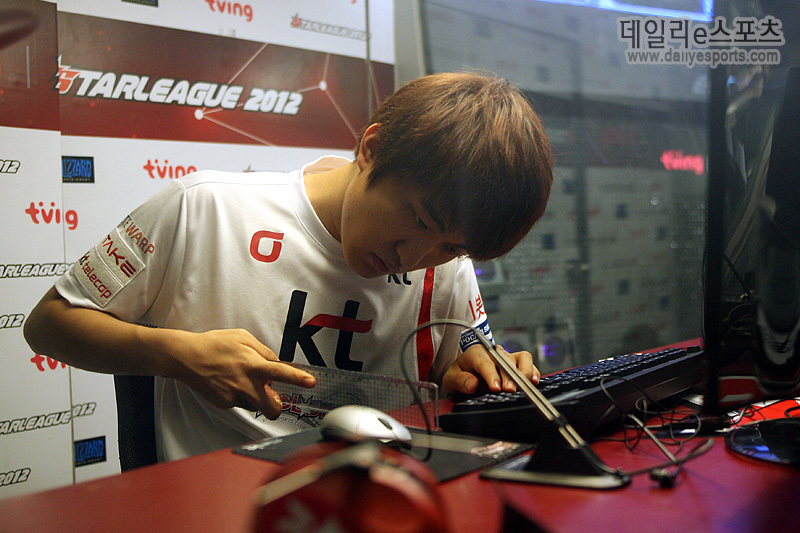 First time ever seeing flash literally measuring the desired position for his keyboard and mouse. Did not disappoint haha. If they meet, we will witness the first AI versus AI game in a professional tournament. This write-up turned out great. Thanks for getting this together guys. Jaehoon vs Sea finals incoming! Flash just said on the stream that he won't be using the ruler tomorrow?!?!?! No Photoshop picture of Larva and Piano on Will Ferrel and Mark Wahlberg movie poster. Also your standard Awesomness Checklist needs to be fixed. In my defense, none of the added options are standard. But when it comes to that then you're spot on lol. Thank you very much for the writeup, but what should be very huge is how I plan on properly predicting these groups, and regain my spot as Number 1 in the Liquibet Rankings after a disapointing show of incorrect bets after SSL.